Everything The O.C. : The O.C. Fan Art: Ryan Atwood Season One Pencil Sketch! The O.C. Fan Art: Ryan Atwood Season One Pencil Sketch! 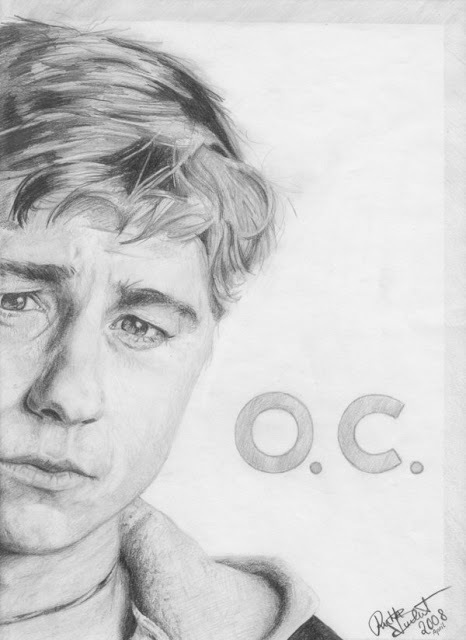 Here we have a very awesome pencil sketch of Ryan Atwood drawn by AmelieMe. This work of art comes complete with hoodie/jacket combo, leather choker and Ryan's famous "Whoever you want me to be." sad Chino pout (he can convey so much in a look). However we do believe the face shading has aged Ryan a bit here and makes this supposed teen look to be around 35 to 40 years old! But all jokes aside this is a fantastic sketch maybe even the best we've seen. Check out more awesome artwork by AmelieMe here!